We call them Healing Heroes! A village of dedicated team members share in the purpose of caring for the patients we are privileged to serve. From nurses and physicians to dietitians and housekeeping staff, our patients and visitors often have wonderful stories to tell about special caregivers they meet in the hospital. They go the extra mile to make patients feel comfortable and secure. They are truly heroes in our healing ministry and we invite you to recognize them for it. 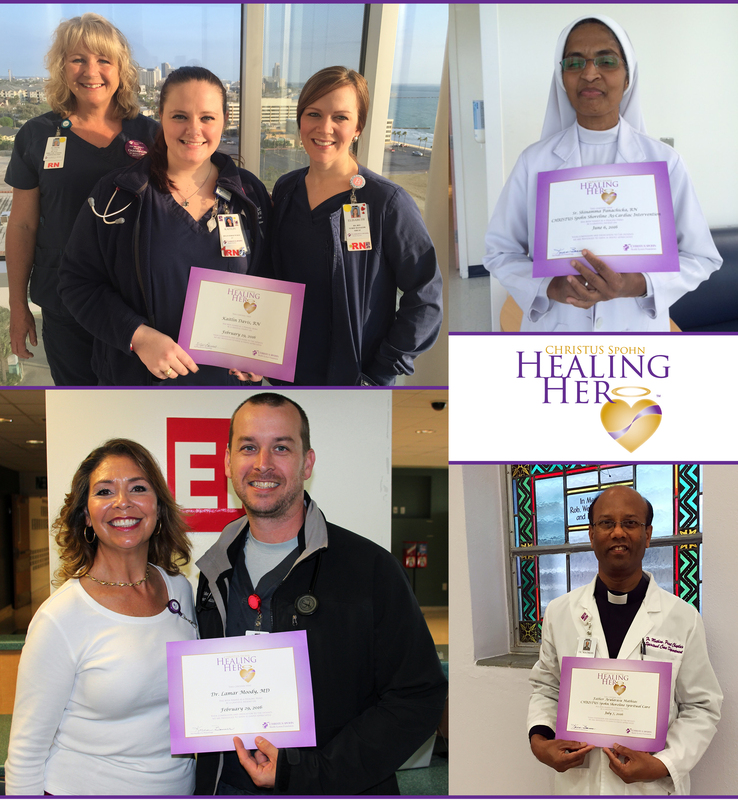 When you make a tax-deductible tribute gift to the CHRISTUS Spohn Foundation, the physicians, associates or volunteers you choose to honor as Healing Heroes will receive special recognition (including a Healing Hero certificate and recognition in their department and in the health system newsletter). You also may make your gift over the phone by calling the Foundation at 361-881-3505. Note: You do not need to know the last name of your caregiver. Please provide as much information as possible, including floor, department, etc. to help us identify your Healing Hero. You also may designate an entire department as your Healing Hero.